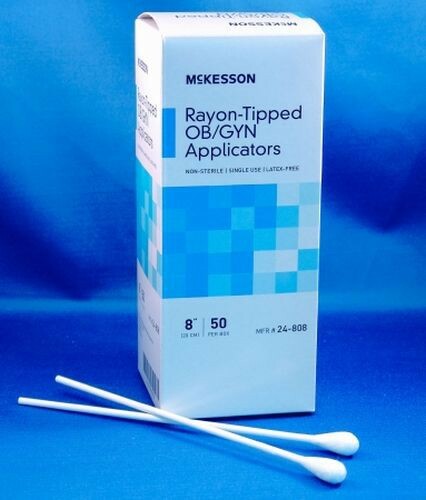 Rayon-Tipped OB/GYN Applicators, Non-Sterile by McKesson 24-808 is a swabstick that is non-sterile with a rayon tip. It is latex-free and measures 8 inches in length. It is a multi-use product that aids medical professionals in solution preparation and application. 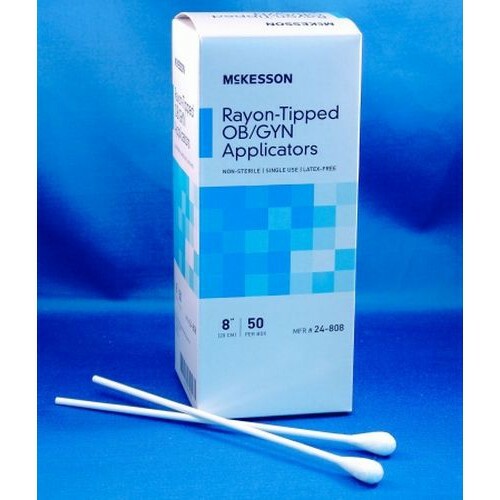 It is a soft, cotton-tipped applicator that is ideal for specimen collection. This applicator helps dispense ointment and wet medication. Unlike swabsticks, such as the Isopropyl Alcohol Swabsticks, they are alcohol free. What is the case price for McKesson 24-808 swabs? We currently do not carry a case value in our database. We can special order the item for you; however. Please give us a call at 800-397-5899 and speak with a customer service representative who will be able to help you place the order.